Lincoln Certified, LOW MILES - 32,373! 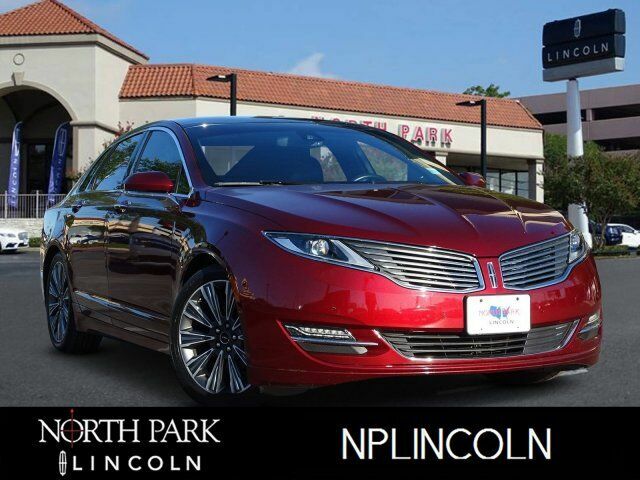 NAV, Sunroof, Heated/Cooled Leather Seats, Back-Up Camera, iPod/MP3 Input, Satellite Radio, Hybrid, Heated Rear Seat, PANORAMIC ROOF, LINCOLN MKZ TECHNOLOGY PACKAGE, Alloy Wheels READ MORE! Leather Seats, Navigation, Heated Driver Seat, Heated Rear Seat, Cooled Driver Seat, Back-Up Camera, Hybrid, Satellite Radio, iPod/MP3 Input, Onboard Communications System, Aluminum Wheels, Remote Engine Start, Dual Zone A/C, Cross-Traffic Alert, WiFi Hotspot. MP3 Player, Keyless Entry, Steering Wheel Controls, Child Safety Locks, Electronic Stability Control. PANORAMIC ROOF, LINCOLN MKZ TECHNOLOGY PACKAGE Front Sensors Forward Sensing System, Rain-Sensing Wipers, Active Park Assist, Adaptive Cruise Control, collision warning w/brake support, Lane Keeping System, Auto High Beams, THX II 14 speakers, MULTI-CONTOUR FRONT SEATS W/ACTIVE MOTION 11-bladder. CARFAX 1-Owner Meticulous 200-Point inspection by factory trained technicians, The confidence of a 6-year/100,000-mile comprehensive warranty coverage, Luxurious by standards, Certified by Ours, Complimentary 24/7 Roadside Assistance, The Assurance of a vehicle history report, 24-Hour Customer Assistance, Several Warranty Upgrades Available Edmunds.com explains Something you might not expect from the MKZ is its composure when going around turns. The standard adjustable suspension and quick steering make the MKZ feel more alert than any other Lincoln in recent memory..